With the rapid changes taking place in the world today, to meet the need of the market situation is much important than ever. 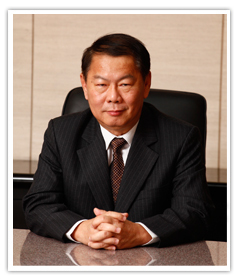 At Thai Petroleum & Trading Co., Ltd., we realize the necessity of the replenishment of the customer expectations. To continue to thrive on as one of a leading company in Asian, we must be able to stay ahead and being a trustworthy partner to the customers and suppliers. That is what our vision is created for. To become a leading Marketing, Distributing and Manufacturing Company of Lubricating Oils and Greases, and Automotive Batteries in Asia. Since 1999, Thai Petroleum & Trading Co., Ltd. has applied an international quality standard, ISO to its operations. This covers all business activities including Sales and Marketing, R&D, Production as well as Warehousing. The essence of the quality to our company is described in our Quality Policy. Determination to Continuous Quality and Service Improvement to Customer Satisfaction is Our Business.